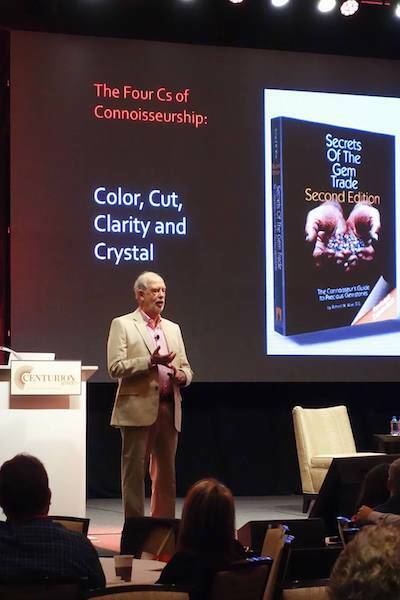 Scottsdale, AZ—Richard Wise, a former retail jeweler turned gem maven, gave attendees at the Centurion Show some advice from the trenches: if you want to make money, get into color. Diamonds, especially since the advent of cut grades on reports, have become highly commoditized, he said. He doesn’t believe branding diamonds works so well. “You’re buying at a premium but they’re not any better than other ideals—and sometimes ideals are better and they’re 20% less,” he said. But colored gems in top form are very rare and in Wise’s opinion will not become a commodity. “By becoming an expert in rare, high-end color, you will set yourself apart from all your competitors, you will attract an affluent clientele, and you will make very good margins,” he said. He shared his own journey from struggling run-of-the-mill retailer to gem expert commanding top dollar. “Almost all gems are found within 20 degrees of the equator. It’s warmer than New England, especially in winter, and you can deduct it. In January, February, and March my store could miss me and it’s no big deal—and it’s nicest time of year there [in gem areas]. Other stores didn't do this. I took the extra markup. I was working on sometimes triple key, and the quality of my goods was better. After 30 years of that and of travel and asking stupid questions, I wrote a book. I knew I could tell people how to understand connoisseurship of rare gems. Richard Wise, former retail jeweler turned author and gem expert, at Centurion Scottsdale. 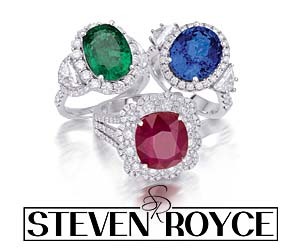 Here, he teaches the Four C's of colored gemstone quality. He also advised jewelers to have a passion for color or don’t bother getting into it. If they themselves don’t have a passion for it, see if someone else in their store does. Invest in sending them to GIA and on buying trips. He got a huge newspaper article out of one of his first trips. The headline read, Jeweler Goes To Jungle For Gems, and Wise got huge publicity and sales from it. When he talks about his trips, his customers often are waiting for him to finish so they can buy the stone. “They’re going to buy because they see how enthusiastic you are,” he said. 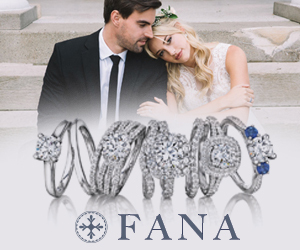 “If you educate yourself, have good relationships with your suppliers, and go to the source and become real jewelers, you can do it too,” he said. Sound advice- that’s Romancing the Stone. The article by Richard Wise prompts a response from me. In my opinion, it is not only the commoditisation of diamonds but the emergence of “lab-grown” diamonds https://www.diamondfoundry.com/ (and associated disclosure issues) that will eventually lead to the contraction of the market for diamonds. I agree completely with Richards assessment that branding of diamonds will be ineffectual and that coloured stones will NOT become a commodity. Indisputable trends are emerging seemingly in opposition to the traditional “one size fits all” approach. In a world which seems to favour commoditisation through “technological sameness” there is a trend for personalisation which continues unabated. 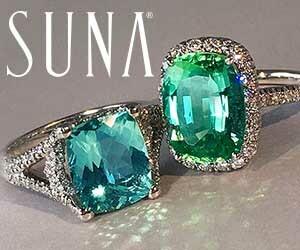 Consumers, particularly younger consumers are desirous of having unique jewellery pieces with unique gemstones, an understanding about a gemstones provenance and having an assurance of the authenticity of the gemstones used in the piece. Questions like where was the gemstone mined, under what conditions was it mined and has it had any further enhancement (treated or untreated) are becoming more important in today’s world. The emergence of fair-trade, ethical sourcing and environmentally friendly processes will continue to grow as consumers expect this information to be at hand. 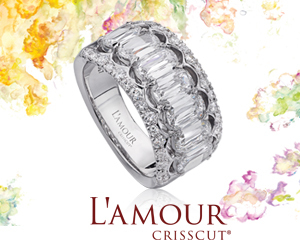 Forward thinking jewellery designers are well in-tune with these trends. Richard’s advice for jewellers to become more involved in the coloured gemstone market is sound yet presents some challenges. As admirable as his suggestions are, not everyone has the time or ability to engage in these undertakings. These tasks can present some real questions about where to start or just what to do. Going to Tucson is good advice, however Tucson has its own challenges and is for a limited time, once a year. Going overseas to many of the places gems are mined, can also present real problems. My suggestions are to use the technology that is in everyone’s hands these days. Seek out people that are closely connected to the source of the gemstones. Spend time getting to know the person and the material that he/she represents. Ask questions/engage in conversation and listen to responses. Do the research on the person, create the relationship. Confirm legitimacy and authenticity. Learn about the product, its features, its uniqueness and particularly the attributes that make the product valuable and special. Teach and train others as you take this journey. Then perhaps take the O/S trip, seek out the sources and enjoy the experiences. We believe that the traditional model of gemstone procurement is quickly becoming redundant with changing technologies and social expectations concerning a gemstones authenticity and provenance. This coupled with the continued emergence of personalisation of jewellery, sets the future trend for all involved in the gemstone/jewellery business. Our strengths are a focus on our local gemstones (BOULDER OPAL, CHRYSOPRASE AND SAPPHIRES), provenance details about the material we handle, a guarantee of authenticity and non-treatment and an assurance of sound ethical and environmental conscious production activities.